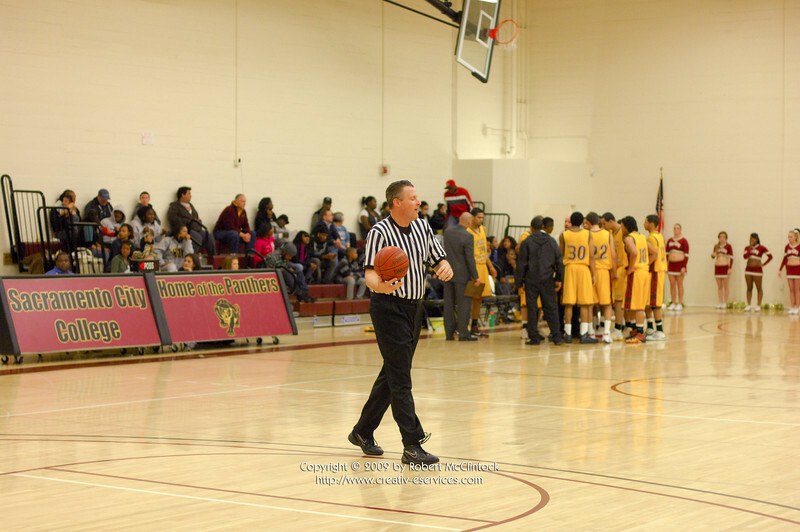 Photos of the officiating team from Sacramento City College game vs American River College at the Sacramento City College North Gym, Sacramento, California on January 05, 2010. Please remember to give credit to "Photo by Robert McClintock Copyright (c) 2010" on all photos used. Prints, merchandise, and gifts are available.